Yeovil Town manager Paul Sturrock has admitted he got his team selection wrong for Tuesday's defeat by Wycombe. The 59-year-old stuck with the same side that drew at Newport on Saturday, but the 1-0 loss at Huish Park sent them to the bottom of League Two. 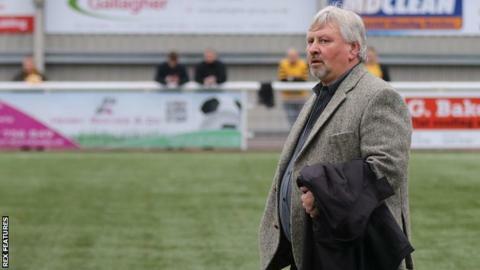 "I had a few sleepless nights thinking about what I should have done," Sturrock told BBC Somerset. "Looking at it now, freshness would have been a benefit because a couple looked weary right through the game." He added: "I gave the players that had done so well over the past few games the chance to solidify their position. "We did not perform to the standards we had been achieving." Yeovil have won only two of their 19 games in League Two this season and host third-placed Northampton on Saturday.